Have Plugs But Miss Earrings? Try These Alternatives! 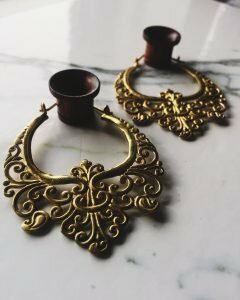 Once you have finally managed to stretch your ears to the desired size for your favorite plugs or tunnels, you may find yourself missing the look of dangle jewelry or hoop earrings. We’ve got you covered! We carry a wide variety of ‘earrings’ that can be worn through your tunnels, stretched piercings, or even as earrings for lobe piercings that have not been stretched! Whether you’re into dreamcatchers, pentagrams, or lotus flowers, we made sure to choose a little bit of something for everyone. If you’re a fan of brass, we have a bunch of yellow brass beauties for you to choose from! Each style is unique and has an intricate design. 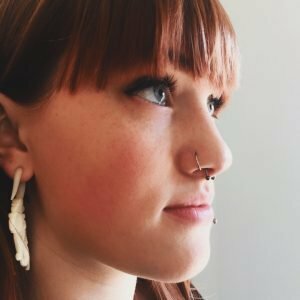 Like the steel earrings, these can be worn through piercings that are both stretched or not and look exceptionally beautiful through wood tunnels. 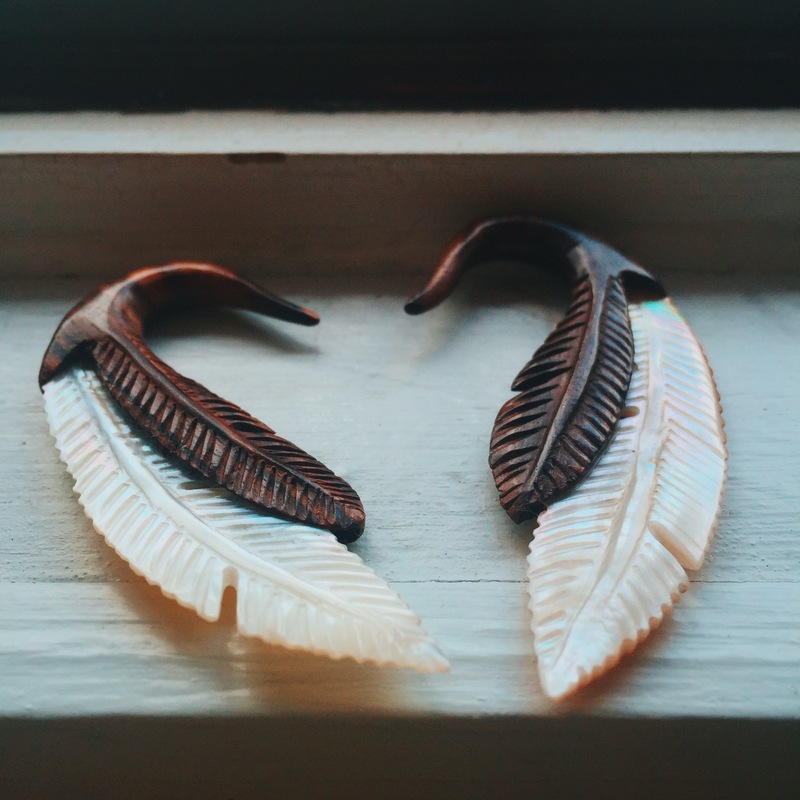 These organic bone hangers are available in different gauges and styles. They provide a very elegant look and are beautiful on their own or worn through a pair of tunnels. These carved wood hangers are beautiful and light weight making them very comfortable for long term wear. They look especially stunning when worn with stone tunnels. Jojoba oil can purchased at our online store. Captive bead rings are so versatile. Not only can they can go in most body piercings, but they can also be worn as hoop earrings. They’re available in many different colors and sizes. If you want to browse our selection of captive bead rings, visit our online store. 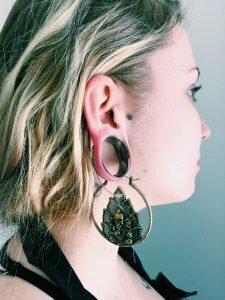 Much like the bone-carved jewelry and wood hanger options mentioned above, there are a huge selection of other tapered-style jewelry available for people with smaller gauges that are too big for tradition stud and clasp earrings. 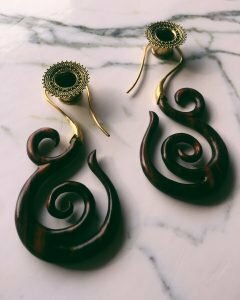 You can find tapered jewelry that combines wood, bone, horn, stone and precious metals to create designs of any size and style. To see more jewelry options, please visit the Almost Famous Body Piercing online shop or visit one of our store locations today! We carry many different jewelry styles at many different price ranges so there is a little something for everyone.